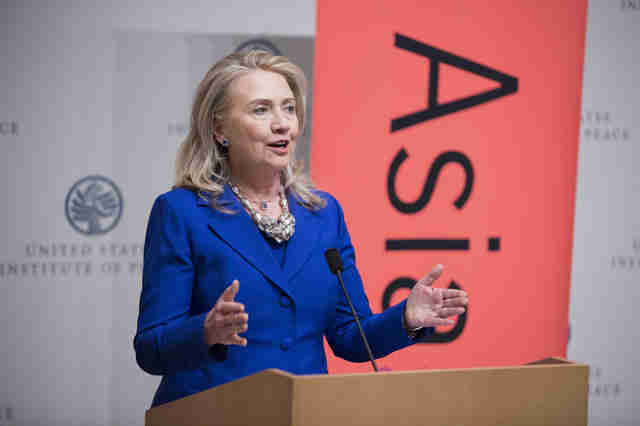 Hillary Rodham Clinton announced her 2016 bid for the presidency on Sunday. She's already held the titles of Secretary of State, U.S. Senator and First Lady, of course. But one of her overlooked roles has been as a friend to animals - whether that animal is a furry pet or an elephant who's been threatened by poaching. 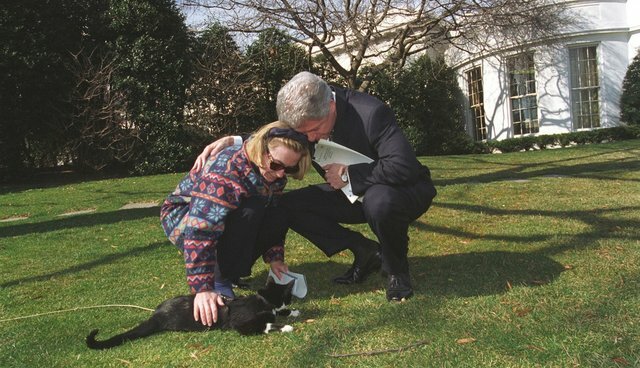 While Hillary was living in the White House, the first family had a cat named Socks, adopted by the Clintons while they were living in Arkansas. 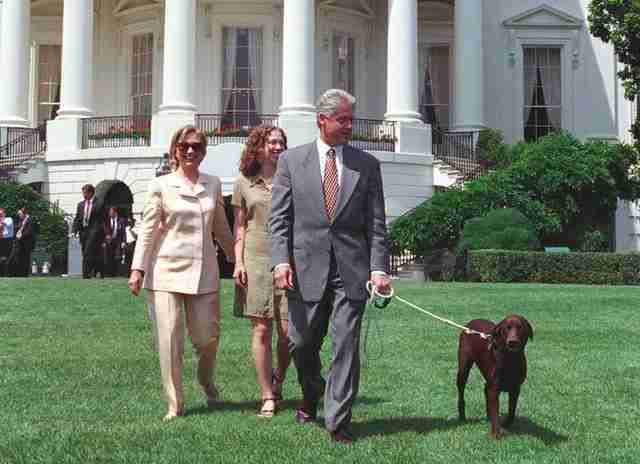 The Clintons also had an adorable puppy named Buddy. 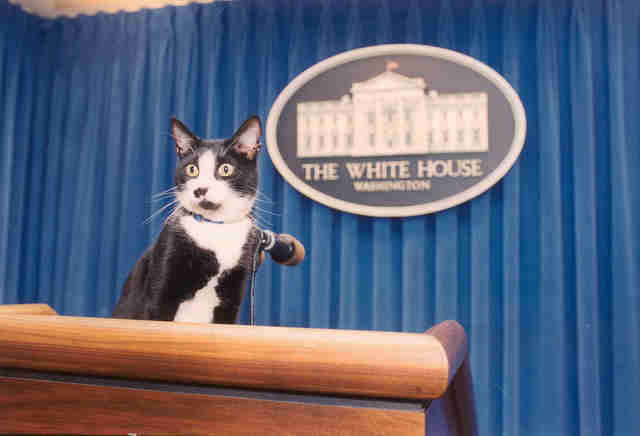 They responsibly had Buddy neutered, though it was somewhat controversial at the time. 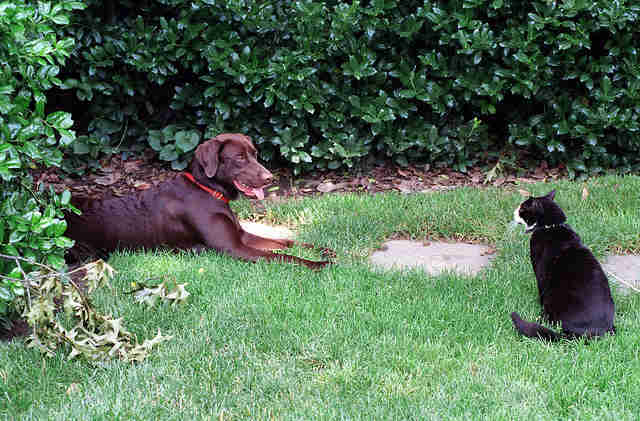 Socks and Buddy had a notoriously contentious relationship. But that didn't stop the two of them from spending some quality time together outside the East Wing. 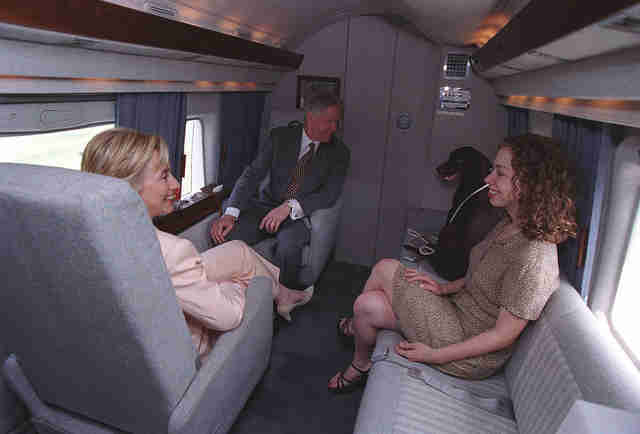 Being the Clintons' pet came with a lot of perks - like riding on Marine One. And doing your business on the White House lawn. 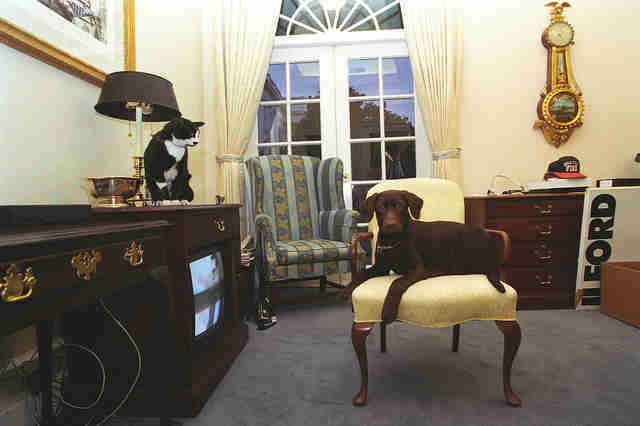 In 1998, Hillary even wrote a book about Socks, Buddy and other presidential pets. On a more serious note, Hillary has been an advocate for wildlife, working to fight poaching and protect elephants worldwide. She once scored 100% on a Humane Society Scorecard, which measures a politician's voting record on legislation related to animal welfare. 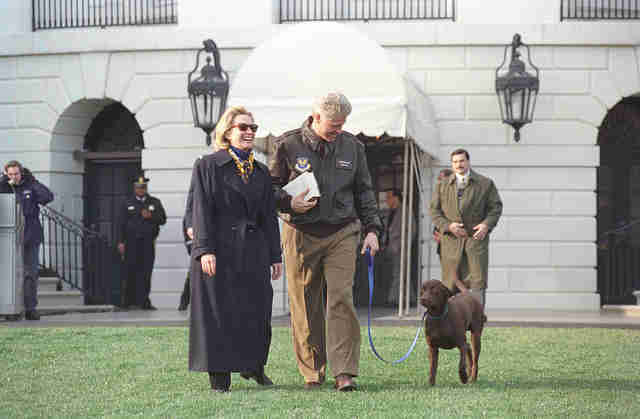 As a U.S. senator, Clinton co-sponsored the Animal Fighting Prohibition Act, which sought to stamp out dogfighting and cockfighting. It passed in 2005. 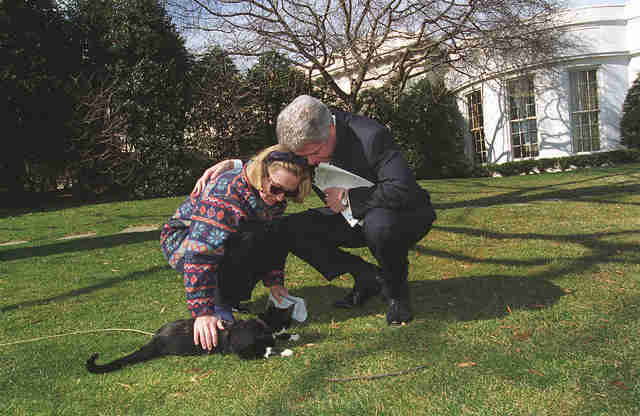 That same year, Hillary and Bill got a new puppy named Seamus. 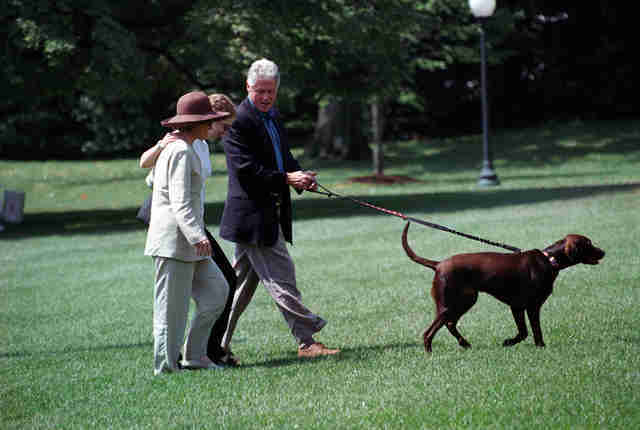 If Hillary winds up back in the White House, we can hopefully expect more photos of presidential pets hanging out on the stately lawns - and perhaps more legislation that supports welfare for all animals.